With 2014 coming to a close and 2015 on it’s way we are looking forward to doing many more amazing renovations in the coming year. In today’s blog post we are going to share our predictions for home renovation looks for the new year. 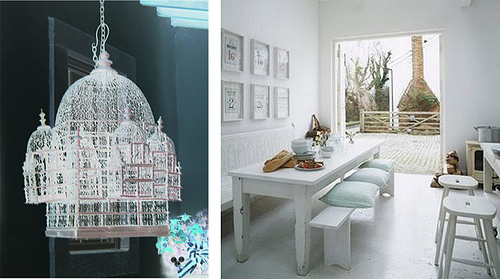 Thanks to the popularity of Pinterest and the DIY movement rustic is back in. These days homeowners seem to want to keep the rustic qualities of their homes and their furniture but add a modern twist. This, has created a unique vintage appearance that still has an updated look. 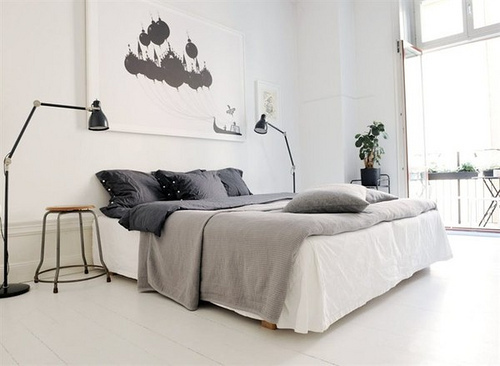 Clutter is out and clean and crips interiors are all the rage in home design. For home renovations this means minimal decor, clean crisp colours and plenty of storage space to keep the knick knacks, and space fillers out of site. 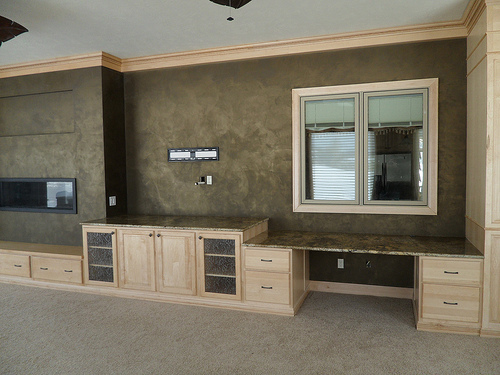 Accents walls, or artistic conversation pieces also continue to be popular. We will likely see a lot of this combined with the minimalism style that we mentioned above. Last, we will likely see a lot of industrial inspired renovations and interior design looks in 2015. The industrial look takes advantage of the mechanical structures and pieces in a home that are traditionally not exposed. Instead of hiding things like the heating ducts, or drywalling over a brick, the design uses these to create a unique look. 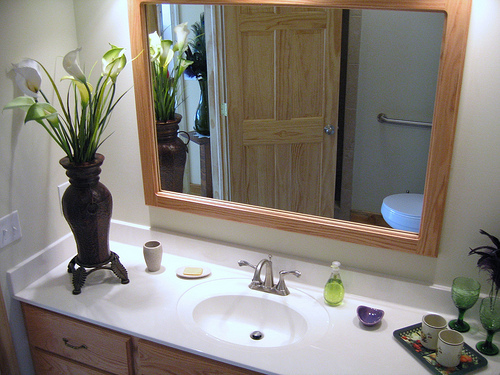 Renovating your home in 2015? Talk to Reno-Ex today! This entry was posted in Renovation Design and tagged home decor, inspiration, interior design, renovation on December 17, 2014 by Writer. Once upon a time you loved your older house, and no matter what anybody said you would defend it. Now, after several years together you reluctantly are willing to admit that there are a few things that you would like to change. This is completely understandable. It isn’t uncommon for first time homebuyers to outgrow the affection that they once felt for their older home once they have lived in it for a while. However, before you jump the gun and put a for sale sign up on the front lawn maybe you should consider making a few changes. Upgrading your older house with an attractive renovation is one way to rekindle your love for it. Some of the most popular renos that home owners choose include knocking down walls to create a more open concept design, the addition of an en-suite bathroom in the master bedroom or the construction of a built in home theatre. These renovations not only can make your home feel more modern they can also add tremendous value to your house if you do choose to sell it. It used to be quite common for kitchen and living spaces to be separated by walls like any other room. However in the past forty years modern home design has become more “open concept”. This means that rather that to have the spaces boxed off they are open and flow into one another. This can be nice for entertaining, making spaces look larger, and adding to the aesthetic design of the home. If you live in an older house where the kitchen and living spaces are closed off, you may want to consider taking down a wall and creating a more open kitchen and dining living space. This is a great way to upgrade a more traditional home and make it a more desirable place to live. One thing that almost every new home has is an en-suite bathroom attached to the master bedroom. Not only is an ensuite bathroom convenient it is also adds to the appeal of the home.If you are looking to upgrade your home and add a high-end touch, consider perhaps a customized en-suite bathroom. 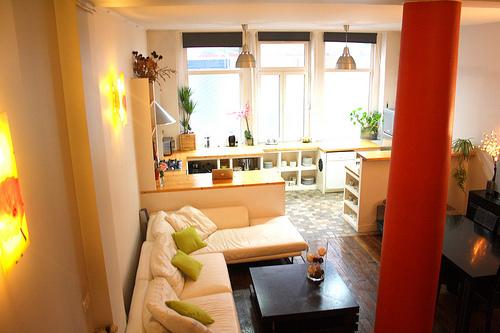 This type of renovation can really help to make your home more appealing. Although, open concept kitchens and living spaces are nice and en-suite bathrooms can be luxurious nothing is more fun than a built-in home theatre. Over the last few years’ custom home theatres have become increasingly more popular as even middle-class homeowners look for a way to make their homes more distinguished. 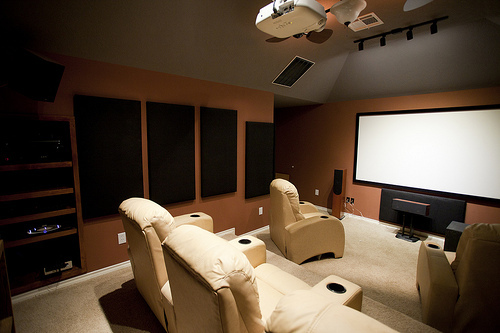 Home theatres can be built into any basement. You can have surround sound installed directly into your walls and ceiling as well as have regressed lighting and special sound proofing put in to optimize the viewing experience. Of course, no home theatre is complete without a wall mounting unit for the flat screen tv or the installation of a drop down projection screen to complete the theatre atmosphere. If you have been with your home for some time now, and are not certain as to whether or not the spark is still there- maybe consider making a few changes. Adding something new to your house with a renovation is one way to rekindle your love. 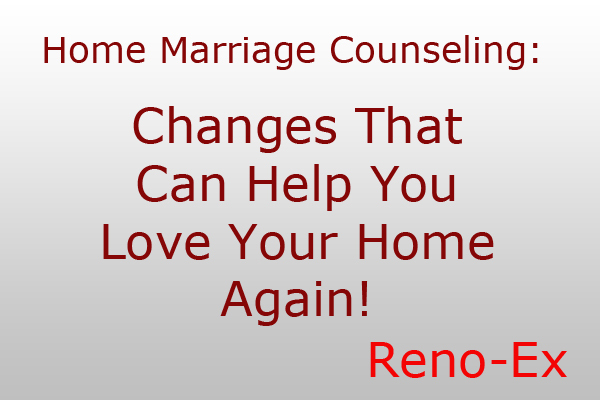 At Reno-Ex we are the home marriage counselling pros. We can assist you with you upgrades and renovations with full top to bottom completion of open concept kitchens, new en-suite bathrooms or even a unique home theatre. 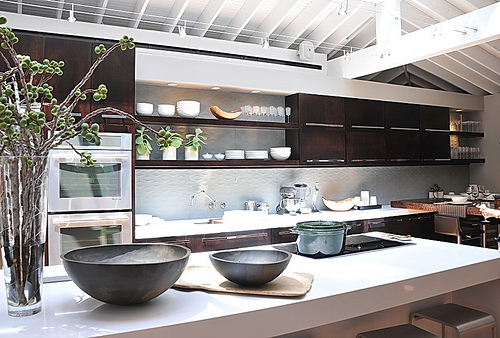 In our next blog we will look at some popular home renovation trends for 2015! This entry was posted in Uncategorized on December 3, 2014 by Writer.